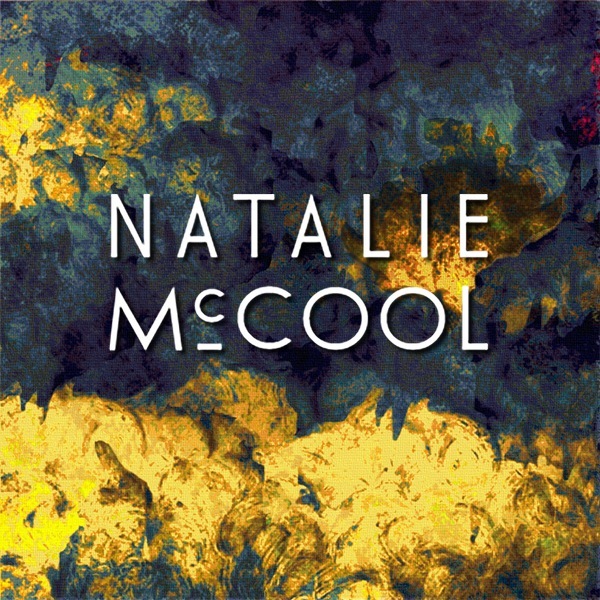 Natalie McCool is a singer-songwriter who has become a firm favourite of BBC Radio 2 and Radio 6, having received acclaim from a long line of music luminaries including Janice Long, Chris Hawkins and John Robb. 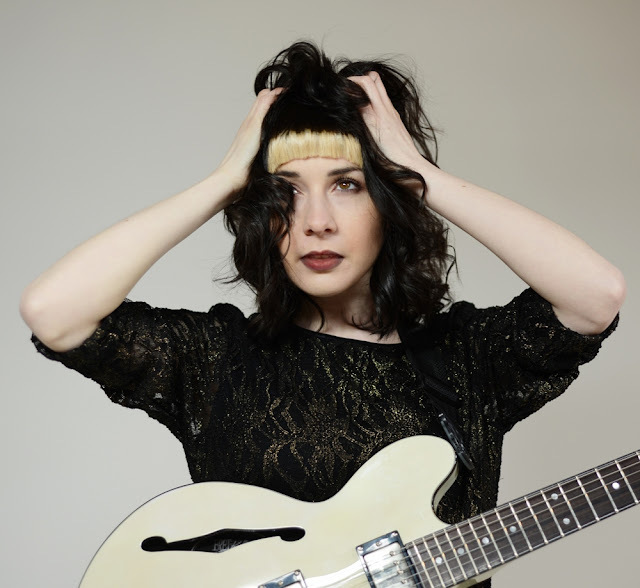 She has been played on various shows including Dermot O'Leary, Steve Lamacq and Steve Wright, and has been impressing audiences with her unmistakeable voice and her guitar style, which is sometimes intricate, sometimes powerful. During her time at LIPA, Natalie even had the opportunity to write a song with Sir Paul McCartney. Natalie's eponymous debut album is out now. Do you find you normally start with a melody or lyrics? I normally start with the guitar part, and fit the lyrics and melody around the feel of that. So I will have a full guitar part of a chorus or verse before I start thinking about anything vocal or lyrical. I’m not a chord strummer, all the guitar parts are pretty well thought out and quite intricate, so it’s interesting fitting melody/lyrics around that. I normally find it works quite well. Could you explain a little about the writing process behind a few of your songs? With regards to lyrics / song content - I like to challenge people most of all. ‘America’, a track from my debut album, was written as a result of a songwriting session I had during my time at LIPA. I think my tutor had twigged that I liked writing about unusual and sometimes controversial subjects, so I think he decided to really challenge me. One day he brought in something he had printed out from the net, it was of a discussion he had found on a US political forum, about ‘public execution’. By that I mean the contributors of the forum were discussing whether it was ethically and politically acceptable for murdered victims’ families to witness the execution of the criminal via closed circuit TV in a room next door to the execution room (something that is currently in practice in several US states). Further down the forum posts, the contributors then started discussing the idea of making criminals’ executions actually public, ie. not just for the eyes of the victims’ families, but televised nationally and available to stream over the internet. My tutor gave me the print out and told me that he wanted me to write something about this idea of ‘public execution’. I took it away and started to think. It seemed to me that making executions televised would be going back to a medieval way of thinking and acting, and totally out of joint with the humanitarian laws and mindset we have developed as a civilization today. However when I thought about the idea of people ‘tuning in’ to watch someone being executed, in my head it was similar to the way that the public and media already treat celebrity – everyone likes to see a celebrity fall from grace, everyone likes to witness it on the front page of a paper or magazine, everyone likes to talk about it and ‘shame’ the said celebrity. Everybody has this ‘side’ to them, whether they are thinking ‘thank god that’s not me’ or secretly (and jealously, shamefully) relishing the moment it happens, thinking ‘not so successful now, are we?’. Based on these two ideologies, I started to write. I wanted to immediately make a point that when people from Europe first started to travel to America, it was seen as ‘the new world’ and somewhere you could start afresh and make something of yourself. Today America is a first world country, and a place where political practice and legislation is seen as the world’s best – fair, ethical and humanitarian. I wanted this idea to clash with the fact that in this first world country, murder is actually the law. I also wanted to turn the idea of a ‘public execution’ into a metaphor for the way the public and media treat celebrity. I wrote the chorus of the song to embody these two things; how ironic that a country that holds such wealth, and promotes such freedom & equality, can have a law in place that allows the government to legally kill a human being (based on their crimes or not). Surely this renders every other humanitarian act and law in that country void? If the government has the right to take a human life, does that send a green light to its citizens to do the same? Therefore is the death penalty really a deterrent, or something else entirely? This is the chorus: “Mercy me with no credit You show me and I’ll know it” Another song from the album ‘Size Zero’ is about the fashion industry & size zero culture. When it comes to beauty ideals, I have always felt that there was a disproportionate amount of prejudice towards women, and as a female musician and songwriter I feel compelled to comment on this as much as I can. As a young woman myself the issue of body image affects me disproportionately; and I feel that this is due to ingrained sexism in our society towards women, which, as we see from the media & advertisements everyday, can objectify and commercially exploit our bodies, mainly for profit gain; although I understand it is part of a wider issue of sexism that manifests socially & culturally. I also feel that there is a lot of ignorance about these issues - and whenever I can, I always challenge peoples opinions, and encourage discussion and debate. ‘Size Zero’ is about a model working in the fashion industry, who starves herself until she dies. It’s based on a true story, which you can read about here. Do you tend to revisit your songs and rewrite them?I have done this with a couple of my songs – sometimes I write lyrics to a guitar part I’m not completely happy with, then leave it for a while, and then revisit them to write something new with a different theme or story. With a track from my album ‘Fortune’ I actually wrote the vocal intro to a different guitar part in 6/8. I was having trouble taking the song anywhere from there, and I had written a verse which I wasn’t 100% happy with. I left it for a while, and then came back to it – I kept the vocal intro and changed everything else, even the theme of the song – it was originally about kind of selling yourself or selling your morals, but I wanted to write about something different at this point, so the lyrics / theme now about having everything you wanted, then to lose it all. Who do you view as great songwriters. Who has inspired you musically/ lyrically? The two artists that inspire me massively and have done so all throughout my life are PJ Harvey & Jeff Buckley. I love the way PJ Harvey writes lyrics, especially on ‘Rid Of Me’ which was a fantastic album. She is very provoking – ‘Rid Of Me’ as an album for me is sort of about blurring gender lines and challenging gender stereotypes. It has so many different layers though. I think she’s a genius. Jeff Buckley is quite different, his voice & guitar playing inspire me the most; I thinkhe is one of the best male vocalists I have ever heard – so soulful. Other bands / artists who have inspired me are: Radiohead, Cocteau Twins, Placebo, Stone Roses, Deftones. I was brought up in the 90s and I think it definitely shows! Do you feel that when there's conflict/struggle in your life that it inspires better songs? Yes definitely. If you’re happy all the time I don’t think that’s great for you, creatively. Some of the songs I am most happy with (Black Sun, Fortune) were written during some sort of emotional catalyst. I write mainly about relationships between people, so everything that happens in my life feeds into this. Click on the following to find Natalie on the web. The next artist to be featured on 'Songwriters talk about Songwriting' will be Jon Allen, so stay tuned.